Before we left for Germany, we received many strange reactions when we would tell people we were traveling to Germany. Some people were quite blunt: how could we visit that country after what they did to the Jews in the Holocaust? Others were more subtle and just shrugged and said, “Why would you go there?” Others simply looked bemused. Some people said, “Just Germany?” I know if we were going to Italy or England, no one would have reacted that way. Germany just did not seem to be an appealing destination to many of the people we know. Even when I explained that I was going to see the places where my father’s ancestors had lived and meeting cousins who live in Germany, people reacted strangely. So now that we are back, I can better explain why we went to Germany and why other people might want to go there as well. I will write about the specific experiences we had in the various places we visited in later posts, but first I want to put the trip in perspective and give some overall thoughts about what we saw and what we learned. First, Germany is a beautiful country with so much to see and experience. 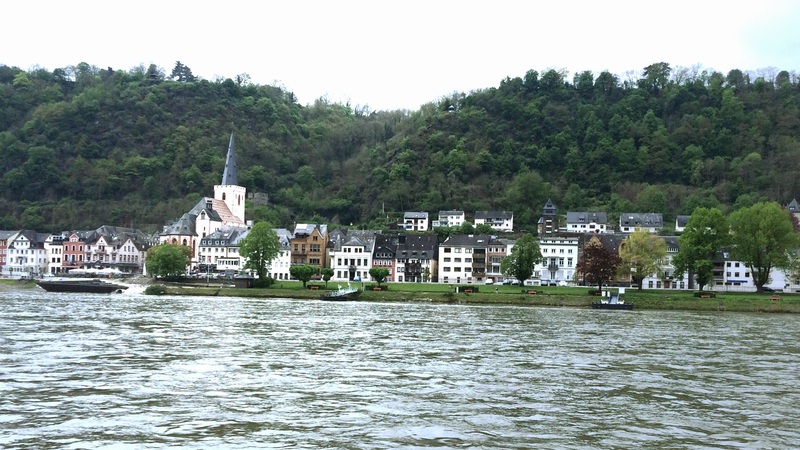 The Rhine River and the rolling hills and wide open green spaces are a delight. Some of the cities and towns we saw are as charming, interesting, and historically and culturally rich as any we have seen in other places. 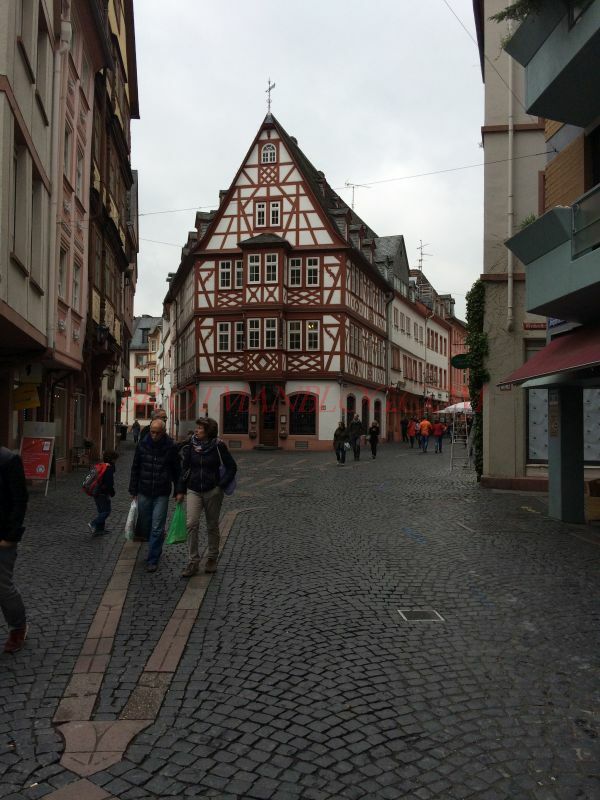 In particular, Mainz, Wurzburg, and Heidelberg are beautiful with storybook churches, elegant palaces, and inviting and exciting markets and squares. The houses range from half-timber fairy tale houses to rococo-decorated merchant homes. In the smaller villages and towns, you get a feeling for how life has been lived in such places for centuries. They are not like the small town where I now live. There are clusters of houses around a central square with a church and town hall anchoring that common space. Surrounding these clusters of homes and buildings are miles and miles of open land. Second, people need to see and understand the damage that war can do. The places destroyed by the Nazis—especially the synagogues and cemeteries—are terribly heartbreaking to see, and there are constant reminders of the Jews who were deported and killed by the Nazis. You cannot go any place in Germany without being reminded that there were once Jews there and that they were persecuted and murdered. And some of the places we visited—Cologne, Kassel, and Bingen, in particular—were devastated by Allied bombing during the war. They’ve been rebuilt, but quite often the new architecture is bland and boring. Often people would comment on how beautiful a city had been before the bombing. 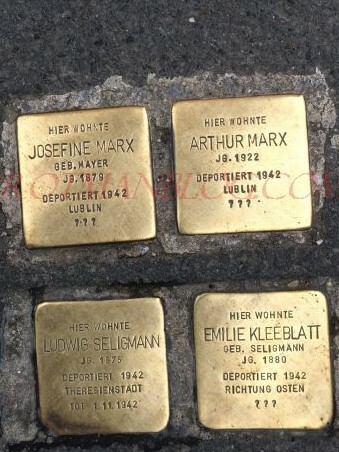 The Germans live with daily reminders of what their country did during the Third Reich and also what the war cost them. 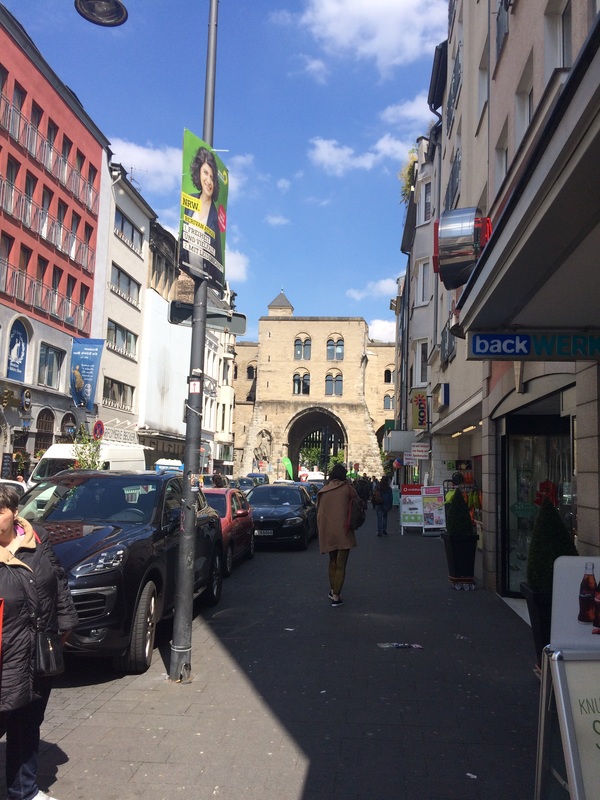 A street in Cologne showing a Roman arch at the end of a post war street. I can’t say that as an American Jew, I felt any guilt about the damage my country did to Germany in order to stop the Nazis. But I also never once heard any of the many Germans we spoke to express resentment or hostility towards the Allies for the harm done to their country. They seem to understand and accept that the Allied attacks were a necessary response to the aggression and genocide committed by the Nazis. Nevertheless, as the world continues to use violence and destruction as a means of settling disputes, we all should understand the consequences of war—not only in terms of loss of life, but also in terms of loss of culture, history, art, and architecture. Which brings me to the third important lesson we learned while in Germany. 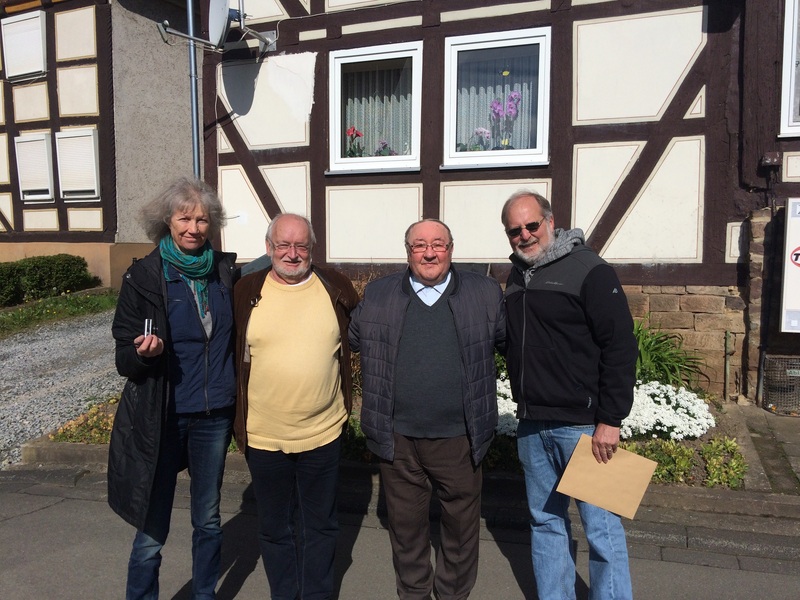 There are many non-Jewish Germans who are working with a true passion and commitment to preserve and restore the history of the Jewish communities that were wiped out during the Holocaust. These people by and large are volunteers—good and dedicated people who were born either during or after the war and who are horrified by what the Nazis did. We spent a great deal of time with six of these people in a number of different towns where my ancestors once lived. We asked all of them why they are doing this work. Their answers varied; one said it was because she’d had a Jewish teacher as a child with whom she’d been very close; another said that it was discovering a former synagogue that had been desecrated; another mentioned that it was learning what had happened to the Jews in his small town that had motivated him to learn more. They are all warm, thoughtful, and kind people. They became friends. One man, with tears in his eyes, spoke about his gratitude to the US for the aid it provided to German citizens after World War II. These people spent many hours with us and did not charge us one cent. They just wanted to help. They want Jews to know about the work they are doing; they want us to come and visit and reclaim our history. They want to help us reclaim that history, and they want us to help them preserve it. And that’s what I did in Germany. I stood where my ancestors once stood. 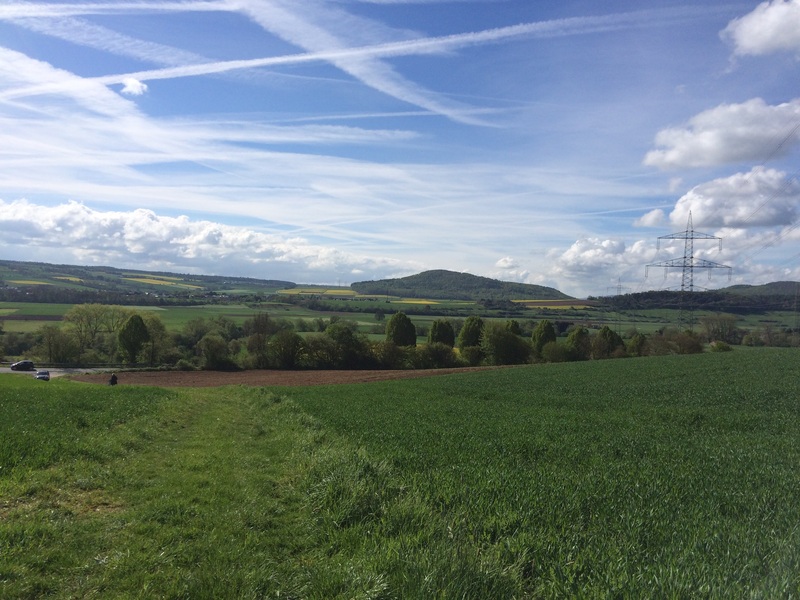 I staked my claim as a person whose family once lived and thrived in the towns of Germany, as a person who is also a part of the history of that place. I wanted to make a visible statement that Hitler did not win because Jews still exist; we survived, and we are as entitled as anyone to walk the streets of Germany. By going to Germany and talking to those who live there, I was able to let them know that we have not forgotten what happened during the Third Reich, but we also have not forfeited our claim to our history in those places. I understand that not everyone will feel as I do. And it’s not my intention to change anyone’s mind. I just want to explain my feelings to those who have asked and will continue to ask me with that skeptical look, “Why would you go to Germany?” Because we can. Because the Nazis did not win. Because we have every right to claim our rich heritage and our long history in that country. And because many people who live there want us to do just that. 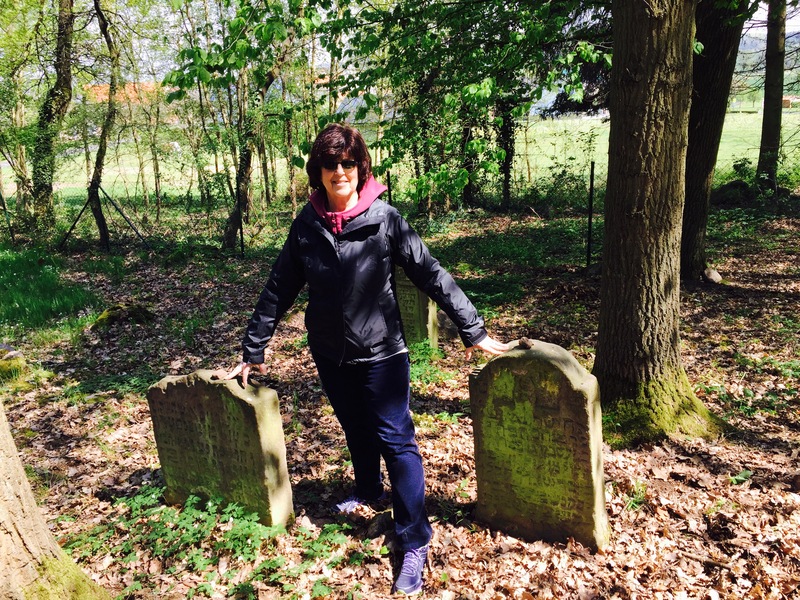 This entry was posted in Genealogy, Germany, Germany trip 2017, Holocaust, Reflections, Travel and tagged Germany, The Holocaust by Amy. Bookmark the permalink. We lived in Munich for one year and absolutely loved it and the people. My husband has ancestors from Baden Wurtenburg and we will definitely go back to follow his family history when we have more time. We did not get to see either Munich or Berlin. That will have to wait for a future trip. I had no family in either place. Thanks for your thoughts! Pleased you went to see the place where your ancestors lived, Amy. Both my parents lived happily together with their Jewish neighbours, while in Germany, pre WW2. My mother had a Jewish boss, while working in the city of Frankfurt, of whom she still speaks of with admiration. We heard that over and over, Vera—that before Hitler came to power, the Jews and Christians lived and worked together peacefully and with no problems. It’s always beautiful to read about people returning to their familial roots. Thanks so much, Ryan, for sharing your thoughts. I really appreciate it. Amy, thank you for such a wonderful post. I agree that you had many good reasons to go to Germany. Bottom line, Jewish or not, is that Germany is a big part of your heritage. And to be able to walk the streets of your ancestors is just priceless. It is on the bucket list for my husband and I to be able to travel to our ancestors’ homelands. Thank you, Diane, for reading and for your thoughts. I agree–there is nothing like walking in our ancestor’s footsteps. I’m so glad your trip to Germany was so wonderful. I think, when Americans plan a trip to Europe, they want to see everything at once. They don’t have the time to appreciate the places they visit. You took the time, talked to the people, had a wonderful time, and likely brought back plenty of memories. I’m sure the time flew by. It did, and I am still digesting it all. include all victims of persecution and are to be found in many European countries, and in most towns and cities in Germany. 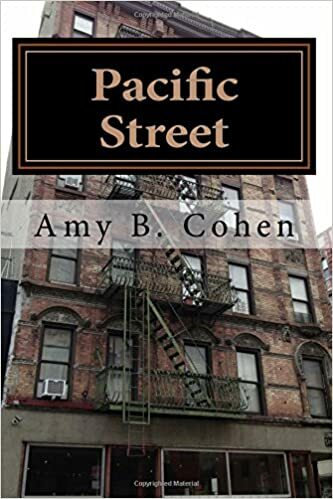 Great to read your thoughts Amy, I know that feeling – to tread the path of your ancestor’s. Yes, I was aware of the history of the stolpersteine before I went and had seen them while we were in Poland, Prague, Vienna, and Budapest two years ago. Thanks, Shirley. In the late 1950’s I was a 2nd LT Infantry Officer at the US Embassy in Paris. I often had courier duty which brought me to most of the European capitol cities. I went to Bonn (Bonn was the German capitol from 1945-1999) once and then asked my superiors to never send me there again. My problem was the police car sirens used in the cities. They were exactly the sound from movies I had seen about the war when the Gestapo was pulling up to a home or other place to arrest Jews. I still shiver to recall sitting at a sidewalk cafe and hearing a police car approach. That sound brought so many horrible thoughts to my mind that I never wanted to hear it again. I understand your reaction, Bob, and I think that it is much harder for those who were alive during World War II to forget the images and sounds. And I would never try to push someone to do something that is painful for them. I think we each have to find our own way to honor the dead and keep their memory alive in a way that works for us. Have you seen the Israeli documentary, THE FLAT? It is about a young Israeli who is tasked by his family to clean out the flat in Tel Aviv occupied by his deceased nonagenarian grandmother. He goes on to become obsessed with his family genealogy. His discoveries, including a trip to Germany, are fascinating. The film has won many awards. I saw it about five years ago in NYC it was in Hebrew with English subtitles, but is now available in English and available from NETFLIX. Michael Moore has given it a rave review. Enough said, watch it. You will thank me. Yes, I did see it. An extremely moving and well-done film. The film is really well done, so many viewers in Germany besides the jury voters were highly impressed. Good to be reminded!! Wonderful & fascinating post, Amy. Going to Germany had significance for you. I think it rude of people to criticize your trip. I think you were fortunate to be able to make the trip and find your ancestors! Thanks, GP. I don’t think they were being rude as much as curious or confused. Most people just were curious, some more skeptical. Thank you—I am glad you thought so. Thanks for this important text. Thank you, Aaron. You are so much an important part of our trip and our experiences in Germany. What a beautiful post. Going to share it around, Amy! This is a good beginning to the series of postings that will follow, Amy. It is best to state it now as the posting is vivid and to the point. In the future, like a year from now, it will still cue readers in on the reasons for your trip. It must have been a deeiply touching experience to visit the resting places of your Third Great Grandparents. I’ve read in other blogs here at WordPress about the damages and losses sustained in what was once Galicia. The cemeteries there are in such disrepair. And now it’s even more difficult to restore any traces of the Jewish communities there because the towns of what was once Galicia are now in different countries. Thanks, Emily. Yes, I wanted to give an overview before I started describing the trip in detail. And I will probably do an afterward overview as well. Writing helps me process everything we saw and experienced. The cemetery visits were very emotional for me—sometimes frustrating, sometimes exciting, sometimes sad, sometimes uplifting. Another reason for the very sad state of cemeteries and other traces of Jewish life – after of course the shoah – is the emigration of the survivors and their descendants to Israel, USA, and even Germany. were so terribly destroyed. At least in Gau-Algesheim the cemetery ground and walls are still there, a memorial could be put in place…. True—thanks to you and Walter Nathan. I would love to go to Germany – my husband and I both had ancestors there. I’m so happy you were able to go and can’t wait to read more about it. Thanks, Debi—and if you decide to go and want some tips, let me know. Thanks so much, Amberly. I did feel very uplifted at that moment and a real connection. There were other cemeteries, however, that did leave me frustrated or sad. More to come! Thanks, Karen. I do understand why people reacted that way even though I don’t feel that way myself. For some people, especially the older generation that lived through the war, the memories of what the Nazis did is still quite fresh and the pain quite close. I understand how they feel—I just don’t feel the same way. Yes, that makes sense among older people and for those who lived through it. Feelings are raw and rightly so. I thought you meant younger people (who may not share the same memories or feelings about those periods in time, wrong as it was). I hope people have come far enough that they can understand that what happened in Germany wasn’t the fault of the people; rather, it was the doing of a group of (psychopathic) individuals. Do you get the impression people question the reason for your visit because of location and where that all happened, or because they hold it against all German people? Unfortunately, ethnocentrism and racism is alive. Our daughter was born in South Korea. That is just awful, Karen, for you and for your daughter. I am so sorry that there are such stupid people out there. I am not sure what those people are thinking exactly about Germany. I know there are some who will always associate anything German—cars, food, the language—with Nazis. It’s a real shame. I can’t believe that in this day in age people still think of Germany as Nazi Germany! I hope to visit Germany one day for the great history, cuisine, and culture it has to offer. Poland is also beautiful though I’ve only seen a very small part of it. In fact, every place I’ve visited in the US and in Europe has beautiful places. We also travel a lot to Germany. Maybe it has not the charm of France or Italy or Spain, but it has many lovely places to see, both man made or nature created. We have mostly traveled to the North Rhein Westphalia and to Lower Saxony and found so many great towns, architecture wise were really beautiful. I have just started writing my articles about them, here are two of them. I would love to have your support and follow back. Hi Julia, thanks for reading and commenting. I will definitely go check out your blog as well.